I got a phone call at work a week before Christmas. It was the school. My youngest son, who was on a field trip at the INVISTA centre had fallen; he needed to go to the hospital. 4 hours and three stiches later, he asked when we go could skating again. Two more field trips weren’t enough: he still wanted more. 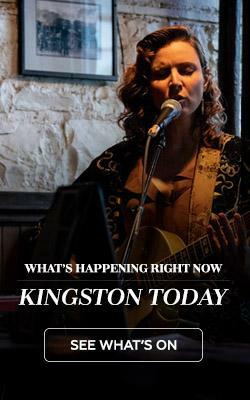 I’m not a huge fan of indoor skating, so I decided we should go on our own field trip, and check out the outdoor opportunities Kingston has to offer! Free Skating at market Square! 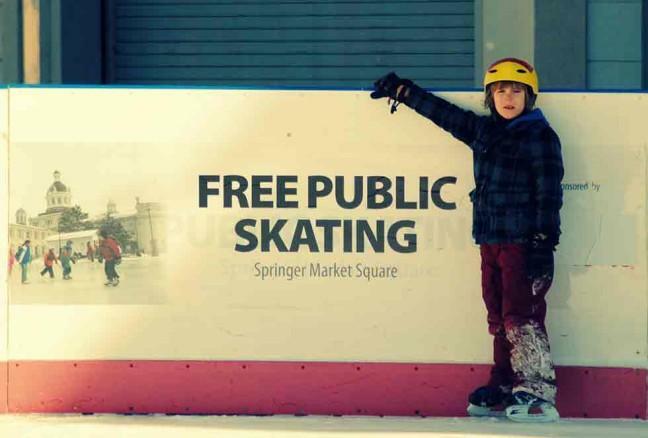 We started downtown at Springer Market Square, probably one of the more popular outdoor rinks in Kingston. With a belly full of poutine from Morrison’s Restaurant (which by the way was a great poutine!) we crossed the street for a few laps around the rink, where in the summer time we like to buy fresh, local produce. We were lucky on this day, as we only shared the rink with maybe a dozen other people. I have seen it super packed at times. We then found ourselves at Victoria Park (Brock St, between Albert & Alfred). This is a park I have walked through many times in the spring & summer, often passing by active tennis courts and children playing in the playground. This day however the rinks were alive with some friendly neighbourhood “shinny”. As Iain and worked our way towards a bench across from one of the rinks, we slipped on some ice. We were delighted to discover that this park not only floods two rinks, BUT also a “path” that meanders through and around the rinks! Being that we are not hockey players, the opportunity to casually skate around, under the trees was delightful. I spoke with one of the shovel-wielding neighbourhood Mom’s, who told me that a Zamboni comes through on occasion, but it had not yet since yesterday’s snowfall, so the community often shows up with shovels. Practicing speed work through the snow! 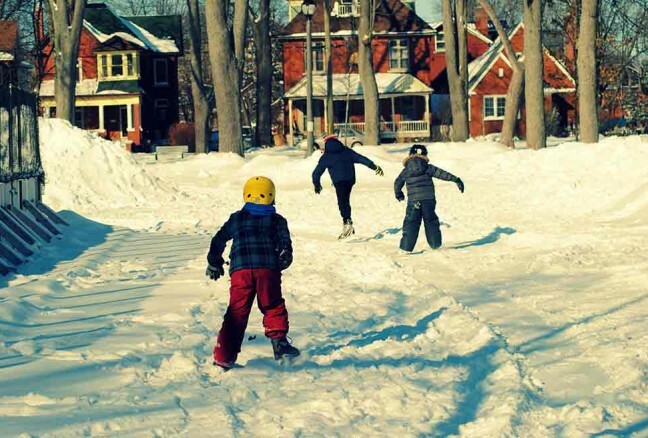 Hockey sticks, shovels & skates… oh my! After a few laps, and watching some good ole’ fashioned hockey, we packed up our skates to head to our next destination; City Park. 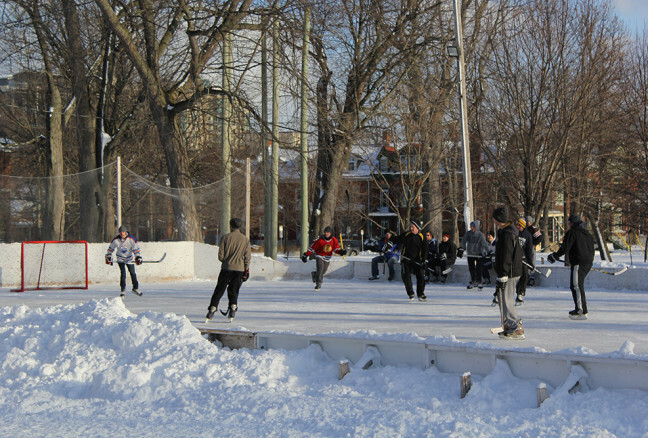 The rink is located on Bagot Street, between Barrie & West right across from the Frontenac County Court House. At first, we were delighted; it appeared that no one was skating, we would have the entire rink to ourselves! 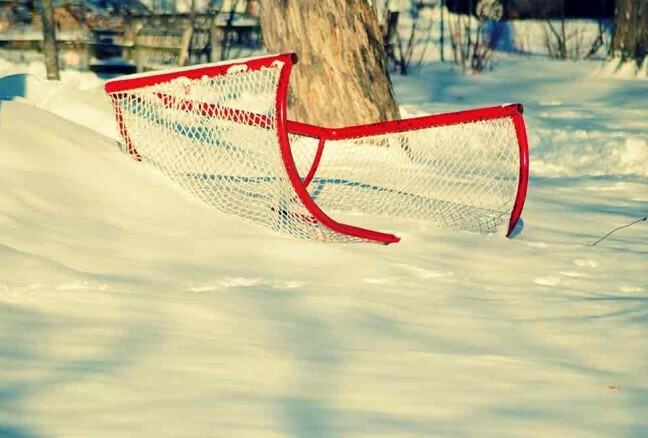 But when we got closer, all we saw was a snow covered ice rink, with a couple of abandoned hockey nets. Oh well……at least the park has swings! 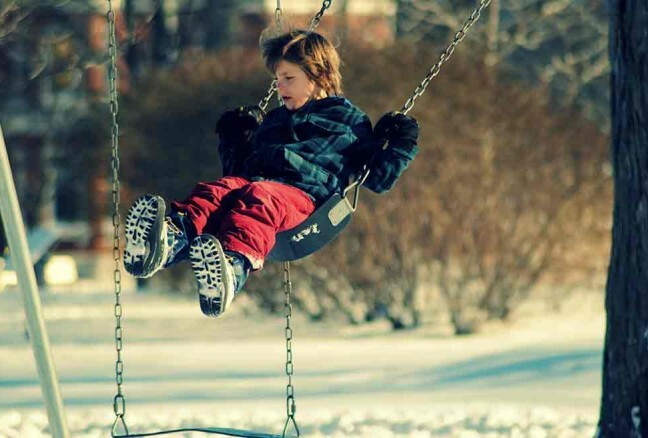 Kids can’t resist swings, even in the chilly air! 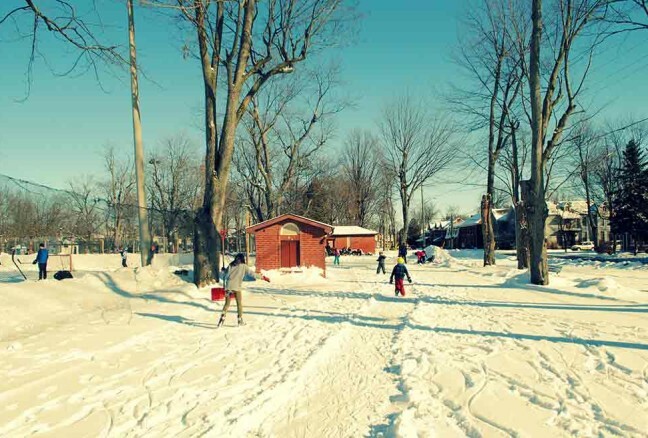 There are a few other free, outdoor community rinks that we did not visit on our field trip including McBurney Park, Polson Park and Woodbine Park. 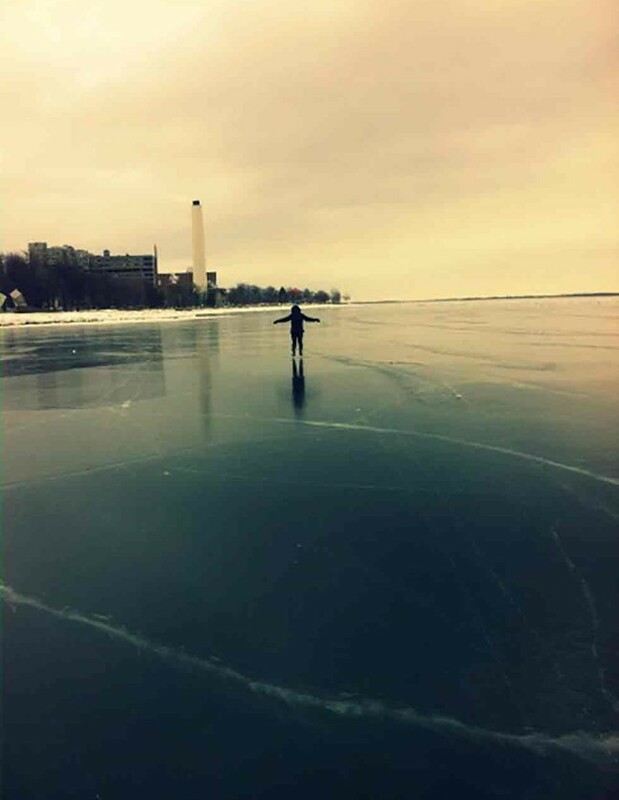 Personally, I love skating on lakes, of which there are many north of town. 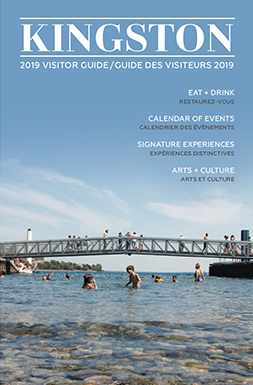 (Please be sure conditions are safe before heading out on any lake!) 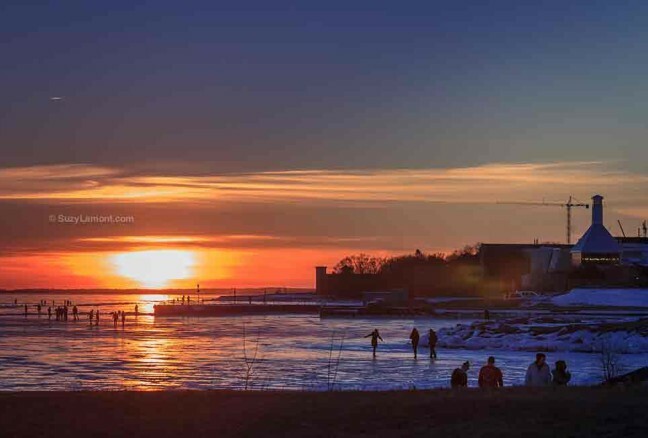 If you were in Kingston mid- January this year, you may have been one of the lucky (and numerous) people who experienced the most pristine ice conditions on Lake Ontario. I was one of them. On a Friday morning before work I recruited a friend (and rented some skates from Trailhead!) and went to check out the lake; I had heard that the ice was great…..and free of snow! It was unreal. We could see bottom, and skate along the shore, from the Pier down to the Yacht Club. Facebook & Instagram were littered with photographs of other skaters out and enjoying the almost once in a lifetime experience. It lasted about a week, and then we got snow, which opens up many other great winter activity, like skiing and snowshoeing! 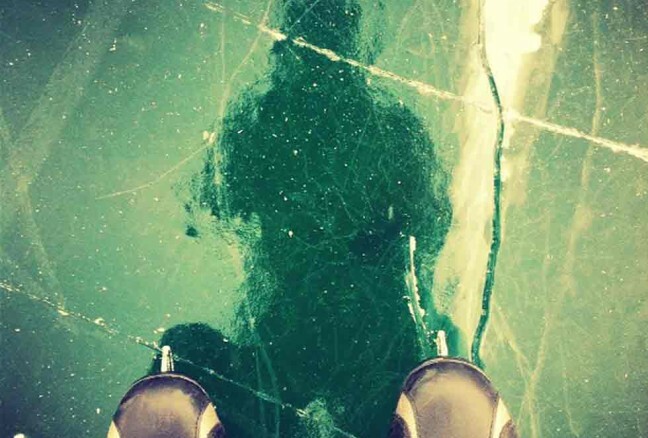 The cool green ice of Lake Ontario.